Finally, some jewelry! My mother gave me money to get the new Half Persian 4-1 kit from Urban Maille. The instructions are great and made it really easy to begin a notoriously difficult weave. The kit comes in sterling/copper because it is much easier to learn with two colors of jump rings, but I’m eager to make a bracelet entirely out of sterling silver rings. Thanks, Mother! 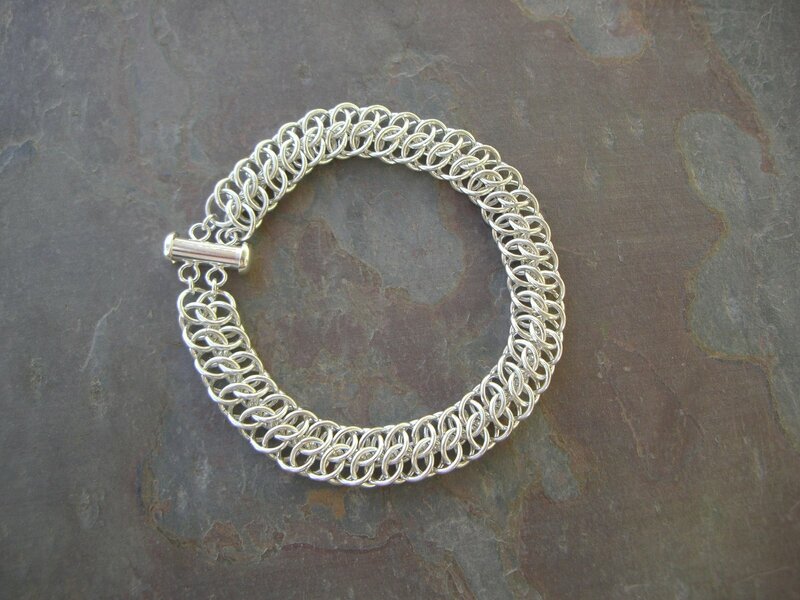 My favorite pig chain maille bracelet has been busy, making it into another treasury this week. 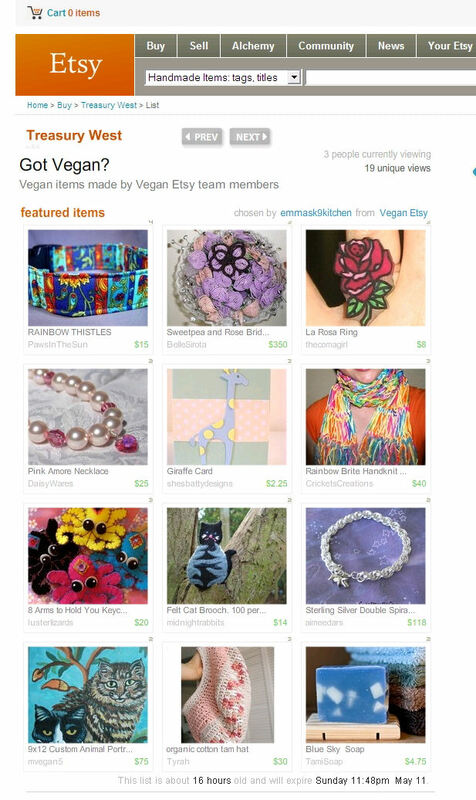 Thanks to Molly of Emma’s K-9 Kitchen for including me! Available online through Sunday, May 11. 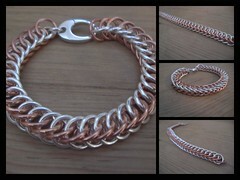 Here’s my Viper Scale bracelet made during a class with Marilyn Gardiner. 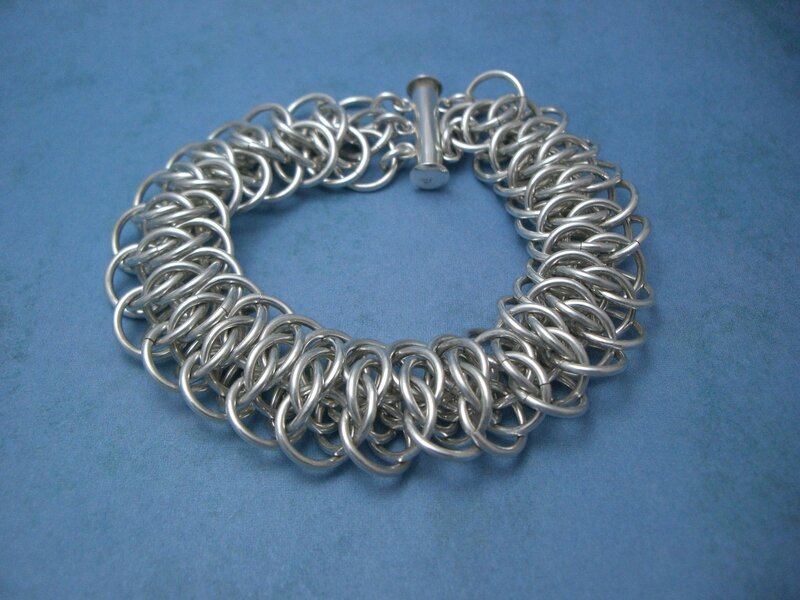 Marilyn’s kits use hefty, substantial jump rings, so the bracelet is thick and wide. It’s a striking piece, and I’ve worn it nearly every day since I completed it. 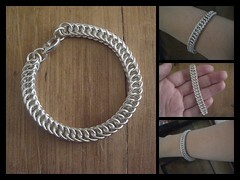 The latest weave I’ve tried: Persian GSG. So pretty and none of the Half-Persian stress! The instructions I used and rings in this bracelet come from Marilyn Gardiner who also gave me a private class in Viper’s Scale (photo to come). According to Deakron, “GSG” stands for “Great Southern Gathering” because it is at that gathering that Buddha (no, not that Buddha) developed the pattern.